For tourists, groups and individuals who wish to enjoy the special traditional Israeli Jewish Shabbat dinner in a warm homely and welcoming atmosphere. Experience the Israeli cuisine as a melting pot of cultures, tastes, spices, flavors and stories. I am Anat Topel, event planner, producer, hostess and cook. I run my own business for more than 30 years. My greatest love and passion is hosting and making people happy. התארחנו בערב ראש השנה האזרחית בביתה של ענת טופל. מה נגיד? חוויה אחרת של אירוח, השולחן הפתיע בעיצוב מרהיב, הוגש אוכל טעים טעים שכלל שפע של סלטים, תבשילים, קינוחים ויין מצויין. אבל הכי הכי זו האוירה והשמחה ששרתה על האירוע והתחילה לנו את השנה האזרחית ברגל ימין. Großartig! Tolle Menschen - 4 Generationen am Tisch - tolles Essen. Anat und ihre Familie sind wunderbare Gastgeber! Danke!!!! Anu - From San Diego. Ca. It was wonderful. We felt very welcome . Anat was a wonderful host and she accommodated our vegan and vegetarian needs at such short notice. We participated 5 persons with Anat great dinner experience. We arrived at 19.30 and took a taxi back to our hotel around midnight. Anat invited some friends and family and it was a 6 stars experience! Great food and great atmosphere. Our best evening experience in Israel for sure. DO IT -)! Not only Anat but also her family members were all with extremely highly hospitality. Valuable to try! One of the best experiences I had during the stay in Israel. Arranged with Anat a Shabbat dinner for 17 students from all over the world. Experience was amazing with great feedback from the students. 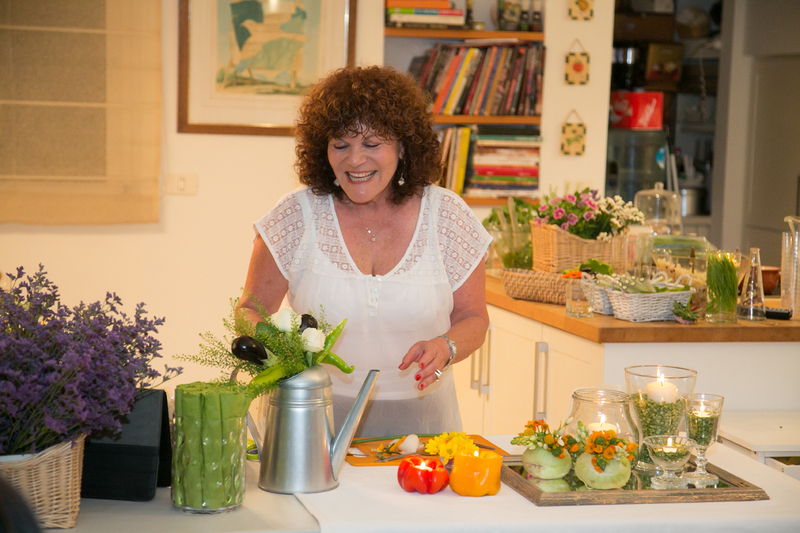 Anat known how to deliver the real experience of an Israeli Shabbat dinner, starting with great food (and lots of it!) and finishing with her very welcoming family. Also, from organizer's perspective Anat was very communicative, working both with calls and messages which is very convenient and even calling the day after to make sure our trip is happening as planned. I definitely recommend Anat as a host for any group that is looking for a private but authentic dinner during weekend in Israel.